With 90% of buyers conducting all or part of their property search online, the images of your property are THE most important marketing material. This is especially important if your buyers are from overseas where the commitment to visit your property implies a financial cost as well as their time. As a seller you need to give buyers a reason to stop and spend time looking at your property listing in order to achieve the maximum number of viewings you will receive. It’ goes without saying, that without viewings the chances of selling your place are remote. The primary objective of a professional property photographer is to capture the true mood and essence of a living space, to choose the best angels to demonstrate the flow of the property, and to highlight the best features of the property. The property boasts a large modern and airy living room, beautiful marble floors and multiple patio doors opening up onto the spacious terrace with ample space for dining and entertaining. Now look at a single professional photograph of the space described above. Do you even need the description above? The photograph goes into even more detail than the description. For example, you can see the room has ceiling spot lighting. The photographer has included the whole sofa which allows you to judge the scale of the room. You can see there is plenty of space behind the sofa to put your dining table if you wish. He has also included a hint of an armchair on the right which implies that the room is larger still. The mood of this room is clearly warm and inviting. 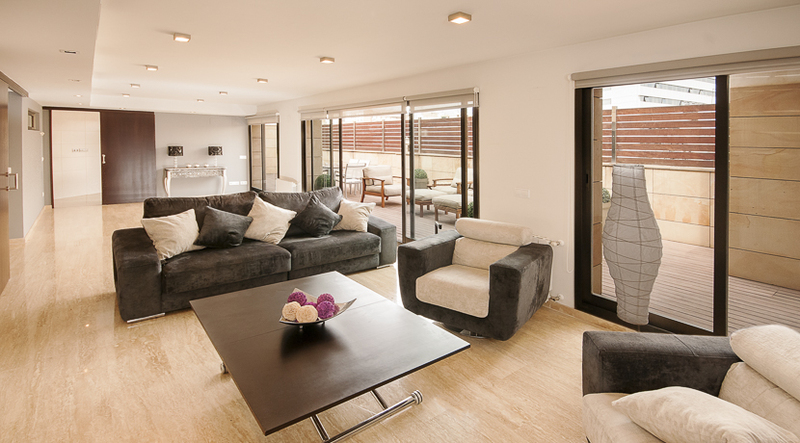 The image highlights the main features of this space (access to the terrace through multiple patio doors), but it also shows the flow of the room (the two doors leading out of the room). Given a typical house design one can assume that one will be the entrance and the other leads to the kitchen. Now compare the living room above with the living room on the right. Which room can you imagine yourself enjoying spending time in? You may have spotted that this is in fact the same room in the same house, this time photographed by an estate agent with a mobile phone from an angle that does not demonstrate the main feature nor give you a sense of scale, and the mood looks dark and cold, a far cry from the reality. A property is not attractive to potential buyers if they can’t see how the space might work for them or if the room is badly lit. Even something so simple as the property looking untidy is enough to put off many buyers. First impressions really count. Does your property listing grab the buyers attention? Put yourself in the buyers shoes, you spend hours, day after day, trawling property websites, scanning through hundreds of property listings hoping to find your dream home. You are presented with hundreds of properties that fulfil your search criteria, which ones do you open to find out more? Like the majority of people you want to see more information for the properties that immediately grab your attention, and it is the photograph that initially peak your interest. It is no accident that he property image slideshow is displayed at the beginning of the details page on almost all real estate agents websites. When a buyer opens the property details, the first thing most do is to look through the rest of the property photographs. If the photographs show the property to it’s full potential and the buyer likes what they see, then they start to form an emotional connection with the property. They imaging themselves living there. Once you see yourself in the property, of course you read the property description to check the place has the features, room sizes, location information etc. 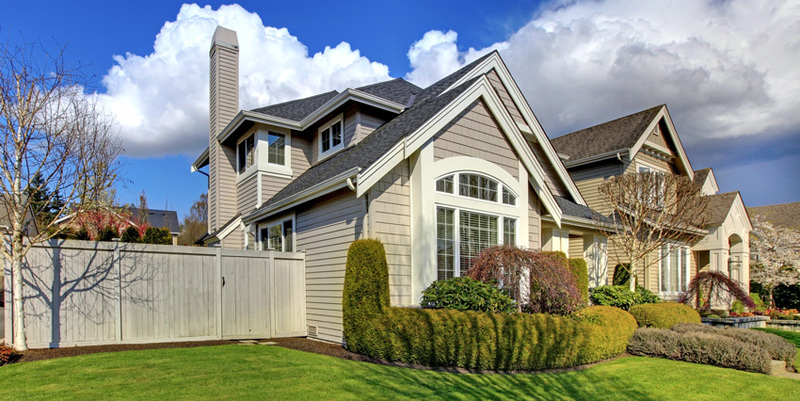 However, once an emotional connection to the property is made, buyers often find it easier to compromise on features that don’t exactly meet their expectations. Does your estate agent really care? What is even more astounding is that many estate agents are content to list properties with substandard and unhelpful photographs taken in 5 minutes using their mobile phone. What does this say about that estate agent? It’s pretty simple, they don’t care. They have hundreds of other properties that will probably sell eventually, and yours too will probably sell eventually. Not only is this a dis-service to the seller and the buyer, but they are shooting themselves in the foot. Given that estate agents typically earn a living from commission from the sale of the property, they should be going out of their way to maximize the marketing potential of your home, and this should start with the photography. Don’t want to lower the price of your house? We can help you. Our professional photographer will bring your house to life, giving it the best chance of your listing being viewed. Give us a call or send us a message using the contact form below, including details of your property and we will be happy to give you more information.